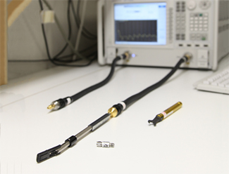 Eurofins ETC was founded in 1992 to provide a first class EMC testing and calibration service from our UKAS accredited laboratory. 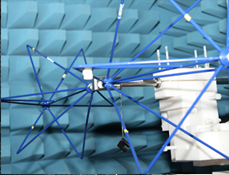 Since 1999, we have operated from custom designed and built laboratories in Bideford, North Devon, which incorporates a full UKAS calibration laboratory, UKAS EMC testing facility including 2 anechoic chambers, screened rooms, 2 reverberation chambers and a fully CISPR compliant open area test site (OATS). 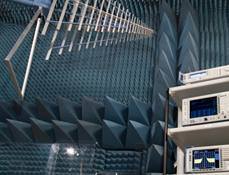 Today, Eurofins ETC offers first class calibration & EMC test services world-wide and currently exports to over 30 countries covering mainland Europe, the Middle and Far East as well as the Americas. In addition to the extensive range of calibration services that we undertake in our laboratory, we can also offer on-site calibration for wide range of test and measurement equipment. We can also undertake UKAS Accredited on-site calibration of Electrical Fast Transient Generators. We also offer free collection and delivery services covering all of England & Wales with an impressive turnaround time of 5 working days from collection to delivery. We currently have 2 hubs in Slough and Warrington operating our own specially designed, foam padded, fully insured vans ensuring the safe transport of your calibration equipment from anywhere in England & Wales.